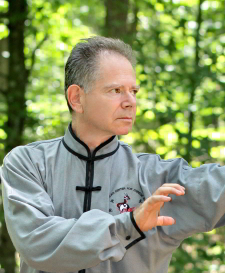 David Block began his Martial Arts training in 1999 under Master Eric Sbarge at The Peaceful Dragon in Charlotte, NC. Included in his training is Tai Chi, Ba Gua, Hsing I, Kenpo, Shuai Jiao and Shaolin Kung Fu. He has competed in many tournaments, including the KUOSHU tournament in Baltimore, where he has gained much knowledge and won several awards. As a certified instructor in the disciplines noted above, he has been teaching students at his school, The Phoenix and Dragon in Weddington, NC since 2010. Tai Chi for Beginners includes a warm-up, followed by learning breathing techniques and body movement coordinated with the breath and mind to enhance the energy flow within the body. This age-old Chinese system is beneficial to physical and emotional health. If there is interest, Southeast Wellness is hoping to make Tai Chi for Beginners an on-going class! Wear loose-fitting clothing and comfortable sneakers or running shoes. In the event of low attendance, Southeast Wellness, LLC reserves the right to cancel the event and you will receive a full refund. We offer a full refund up to 7 days prior to the start date and a 50% refund within 7 days of the start date.